For over two decades, Bare Ground has been using the most creative concepts to protect people and property without causing harm to the environment or animals that live in it. 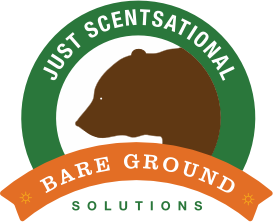 Bare Ground began with a non-corrosive liquid de-icer product and has expanded into dog scents, garlic animal repellents, and driveway sealants, among other helpful products. Once a winter company, now Bare Ground makes every season more bareable! Bare Ground was growing, with multiple sales channels in both dot-com and brick & mortar.